It’s been a difficult few years for savers. With the Bank of England’s base rate so low, the interest rates on offer have been poor at best. Savvy savers know that it’s a good idea to shop around in order to find the best available deals, which is why many of us rely on price comparison sites. The trouble is, some of the savings accounts that offer the best rates don’t actually show up on these sites. Earlier this year Gatehouse Bank looked at 15 price comparison sites to see if they included Shariah accounts when recommending deals. Just seven of the sites presented these accounts, alongside the mainstream accounts from high street banks that show up when you are looking for bonds, ISAs, easy access accounts or the like. So why aren’t Shariah accounts showing up? And why are they an important option for savers to consider? What is a Shariah account? Shariah-compliant accounts follow Islamic law, which forbids either applying interest to loans or applying interest to savings deals. As a result, things have to work a little differently. So providers that offer Shariah-compliant accounts use the money you save to fund investments in areas that they believe are ethical - so no tobacco or gambling firms, for example. Savers then get a slice of the returns from those investments back. That’s why these accounts advertise an ‘expected profit rate’ (EPR). While this EPR is not guaranteed, they are generally set at levels where the provider is all but certain they will be able to deliver it. There are a couple of big selling points for Shariah accounts. For starters, the EPR is often really competitive compared to the interest rates on offer from banks and building societies. For example, at the time of writing the best return on a one-year bond is the 2.05% EPR from the Bank of London and the Middle East (BLME), while over two years the top rates include the 2.20% from BLME and the 2.14% from Gatehouse Bank. But there’s also the focus on only using that money to invest in ethical firms. Not only are you getting a good return on your money, but you know that while the bank has it they are using it to back firms that are engaged in worthwhile activities. Are Shariah accounts only for Muslims? There is something of a preconception that Shariah-compliant savings deals are only available to Islamic savers. This isn’t true though - they are open to everyone. The account may be run in a way that complies with Islamic law, but there are no such restrictions on who can open one. Where do I find a Shariah account? Clearly, you can’t rely on price comparison sites to always include Shariah-compliant accounts when you are looking for a new home for your savings. 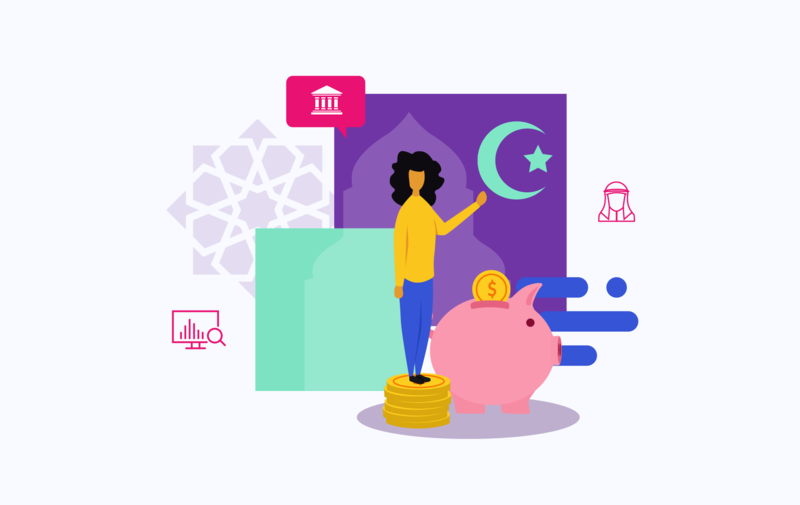 There are a number of specialists offering Shariah deals, including Gatehouse Bank, the Bank of London and the Middle East (BLME), Al Rayan Bank and UBL, while Lloyds Bank offers Shariah accounts too. All of the banks mentioned above are part of the Financial Services Compensation Scheme (FSCS). The FSCS ensures that the first £85,000 that you save with any financial institution are completely protected, should that firm go bust. It’s exactly the same protection that’s on offer if you save with a typical high street bank, so your money is just as safe.